It seems Chelsea FC is not going to give up on their "want away striker" Diego Costa as despite the tension and the players' refusal to come back to the club to train, Chelsea stlll inluded him in their Premier League squad for the 2017-18 season. Costa was expected to leave the club after being deemed surplus to requirements, but the striker failed to secure a transfer to his preferred Atletico Madrid. 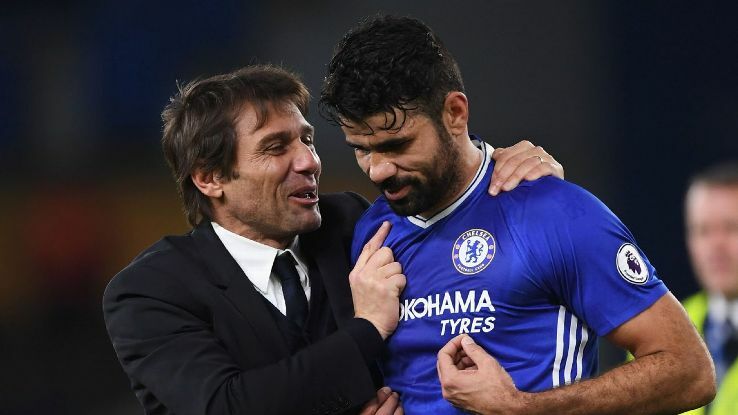 Chelsea manager, Antonio Conte had revealed that he considered Costa to be out of his future plans since January, when intense speculation regarding his future first surfaced. The Spain international made it clear he favoured a return to Atletico Madrid and has been holding out for such a move ever since and according to Goal.com, with no deal coming his way Chelsea have taken the decision to include Costa within their squad. The 25-man squad lists had to be completed on Friday, with the Premier League confirming the selections on their official website.